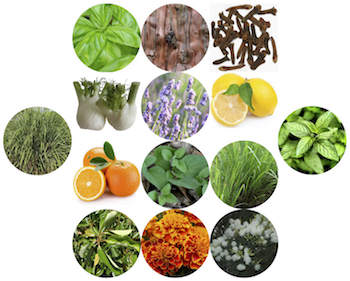 Includes: Basil - Sweet, Cedarwood - Atlas, Clove Bud, Fennel, Lavender - Bulgaria, Lemon, Lemongrass, Orange - Sweet, Oregano - Wild, Palmarosa, Peppermint, Ravensara, Tagettes (Marigold) and Tea Tree. Please see each oil's description on their individual product page for more details. Each bottle is 1/2 ounce/14.79 mililiters. Bottled in brown glass.